On June 19, 2018, 18:00-20:00. Address: Patio 15-25 adjoining a lush green wall, below towers 15 and 25 within the campus. 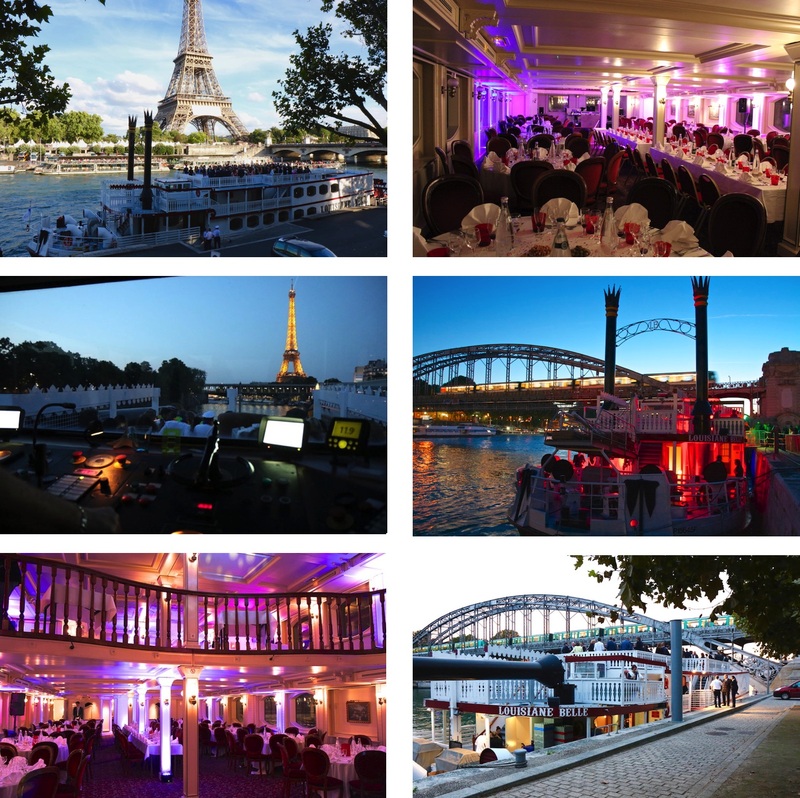 On June 20, 2018: Dinner cruise on the largest paddle steamer in service on the Seine. 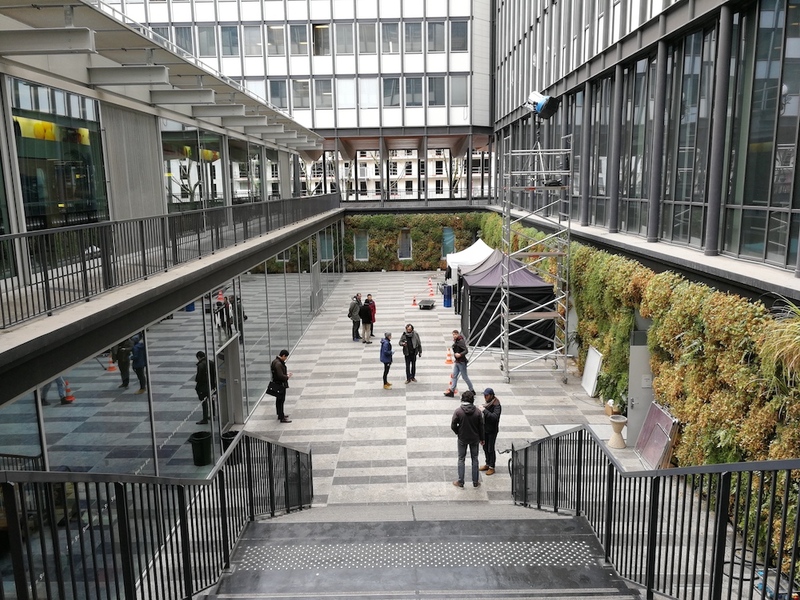 Address: Escale Saint Bernard – Jardin des Plantes. See on Google Maps or OpenStreetMap. 19:00 – Cocktail reception on the upper deck of the docked boat. Guests can arrive anytime on the boat until 20:00. 20:00 – Cruise departure and dinner. 22:45 – Cruise arrival (disembarkation). 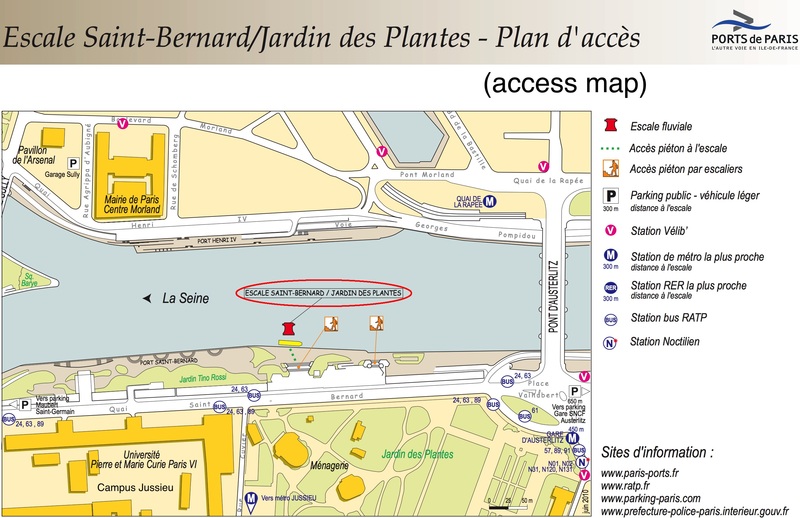 Embarkation gate: Escale Saint-Bernard / Jardin des plantes (in red on the map).